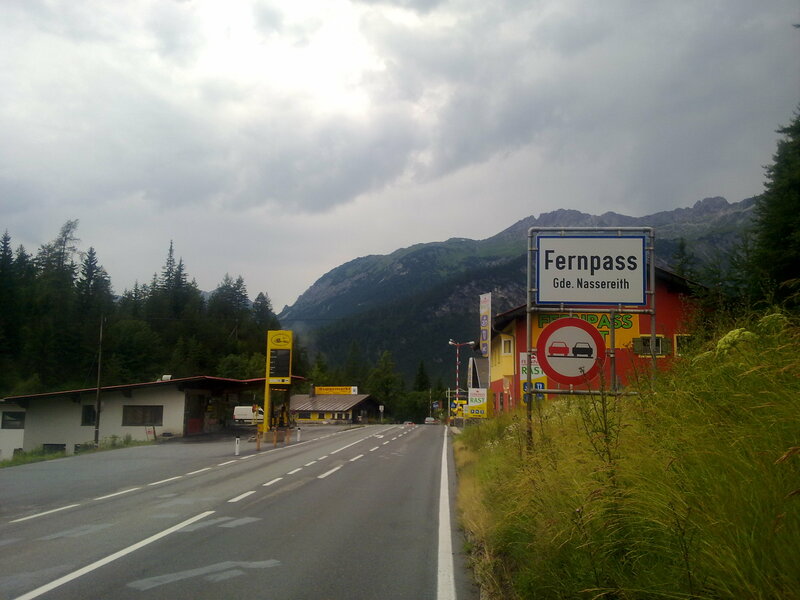 I did say I was cycling from my HOME in the Tyrol, but this means going up the Fernpaß, which is a VERY busy road. The alternative would be the old Fernpaß, which is now part of the “Via Claudia Augusta“, but this stretch of the mountain bike route is marked black (= extremely difficult), which I do not think is a good choice for a fifty-eight year old woman with luggage. Many of the younger people use the shuttle, which runs on this busy stretch, so I don’t feel guilty about cheating a little bit, by starting off at the top of the Fernpaß. This is still part of Nassereith and I’ll have plenty more climbs, before I get to the lower regions in France, so please forgive me! I must go over the Fern pass. The suttle says it runs through October but does it give an exact date when the shuttle service ends or can you find out for me? As much as I would love to say I crossed the Alps on my Bike, I’ve heard this section is quite dangerous and difficult. thanks Sue! Yes, Bill, I’ll willingly do that for you. I was planning to email you with the information anyway, but I can’t seem to find your address.